“Spring Into Summer” is Here! I knew I was excited about this project when I actually looked forward to staying up late transcribing my songs into sheet music and designing the layout. I haven’t gotten much sleep over the past two weeks, but the finished product is worth it. I wanted to create a resource that reflects the sheer joy I’m feeling now that spring is here, which no doubt will carry into summer (my very favorite season!). I chose topics that are synonymous with the warm weather months: Mother’s Day, flowers, school getting out, Father’s Day, swimming, traveling, playing outside, the list goes on. This digital songbook includes the melody line, chords, and lyrics for 10 songs, including the never before released title track. It also comes with the mp3s and instrumental tracks for all 10 tunes, since I always encourage you (and your kiddos!) to create your own versions of Listen & Learn songs. Purchasing the lead sheet and mp3s for each individual song would cost you $3 a pop; multiply that by 10 songs and you’re out $30. But since I’m all about sharing the love, I’ve priced Spring Into Summer at a mere $10. Get it now and instantly increase your arsenal of warm weather songs for kids. Join me in celebrating what is left of spring and preparing for the start of summer. There is so much to look forward to at this time of year, and music is a great way to help children understand and be ready for all the excitement to come! Spring Into Summer: Preorder Now! Spring is in full swing and summer is just around the corner, which makes this Midwestern girl VERY happy! In the midst of the most epic winter ever, I knew I wanted to create a resource to celebrate the warmer seasons, which is how Spring Into Summer: Warm Weather Songs for Kids came to be. The digital songbook collection will be released in its entirety on Tuesday, May 6, but as of TODAY you can preorder it. When you do that, you will immediately receive the mp3s and instrumental tracks for two of the songs in the collection, including “Spring Into Summer” — PLUS a bonus “Goodbye Song” that will not be available after the full release. Soon after you purchase, I will email you the PDF sheet music that accompanies the 3 preorder songs. For $10, you get 3 songs (mp3, instrumental track, & sheet music) right away, and then 8 more songs the moment the rest of this collection is released next Tuesday. What better way to welcome spring than that? Preorder Spring Into Summer Now! Right around this time last year, I got the urge to create a digital songbook — the result of which was Tapping, Shaking, Music Making! Maybe this will become a yearly spring project, because I’m currently working on the next one! 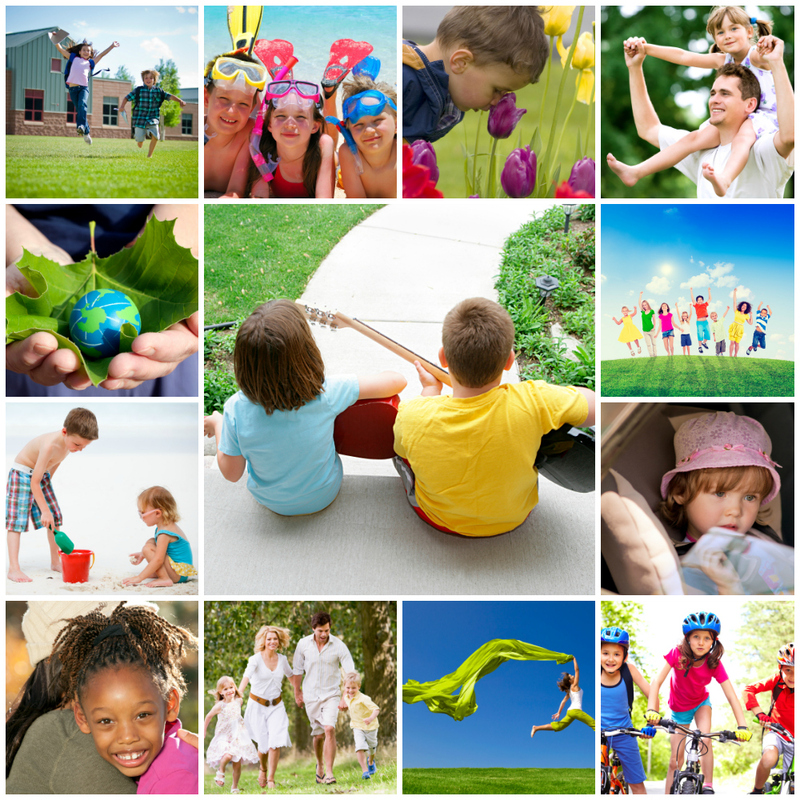 Spring into Summer: Warm Weather Songs for Kids will include 10 songs instrumental tracks, and a PDF songbook full of lyrics, sheet music and ideas for putting the songs to use. I’ll be sharing the song titles and a sneak peek soon, as well as an opportunity to pre-order (with a sweet bonus download for doing so). The plan is to release Spring Into Summer by May 6. I’m writing that down here so that I have some accountability, which I’ll need considering the amount of projects and big things I have going on at the moment! There’s something about sunshine and warmer weather that gets my creative juices flowing, and luckily, the extra energy to act on it. This is more of a teaser post than anything else, but I will share more in the next week or so. Is anyone else as pumped up as I am now that spring is here? Help keep the inspiration flowing by sharing the projects you’re working on this month! I’m currently on maternity leave, and some of my colleagues have been kind enough to share their expertise through guest posts throughout the summer. The following comes to you from Wade Richards, LCAT, MT-BC. “Another Beautiful Day” was a song improvisation I created for one of my groups consisting of young adults with special needs. It was just after lunch, everyone was trying to keep cool in the air conditioning, while the weather outside was sunny and hot. I noticed that some students seemed to have that “I have a headache” kind of look going on. You know, not as perky as usual, squinty eyes, hands over ears, insisting on putting their sunglasses on, or heads down on the lunch table. I decided to lower the sensory bar a bit, so as the students came into the group, I turned off the lights (only letting in the lights from the window, and doorways to come through), picked up a frame drum, and decided we would work on a chant where each student would add in their own phrase about what they like to do outside when it’s a nice day. This was a great way to work on expressive language skills. Throughout the song I encouraged participation by singing vowel sounds, taking breaths, and incorporating some tension/relaxation exercises. Each person was given a turn to play the drum softly and sing their line about what they like to do outside. After going around to 3 people, I would ask the group questions about what each person liked to do. This was a great way to bring attention and focus to each person in the group during the experience, and also work on memory skills. Using a simple drum pattern to accompany the voice is a great way to chill out on a hot day. Let’s go outside and swing on the swing. Let’s go outside and walk through the park. Let’s go outside and swim in the pool. Let’s go outside and play in the backyard. Wade created “What a Rainy Day” as a follow up experience to “Another Beautiful Day”. Members of Listen & Learn Plus! can read on to hear the song and find out how it can be used to address expressive language skills. Wade Richards, LCAT, MT-BC received his Bachelor of Science degree in music therapy and applied voice from S.U.N.Y at Fredonia. He completed his internship at the Broome-Tioga Board of Cooperative Educational Services (BOCES) in Binghamton, New York. He has been providing music therapy services in the Greater Rochester, New York area for close to 20 years. Wade has served as Chair of the Music Therapy Department and Orff-Schulwerk Department at the Hochstein School of Music & Dance, and Program Director of the Trinity Assistance Corporation Blue Ridge Music Therapy Center. Currently, he is an instructor in the Music Education Department at the Eastman School of Music. Wade has pursued additional training in Orff-Schulwerk, Neurologic Music Therapy, and Performance Wellness.